Seven Ninety Seven: ROAMAN'S 75$% OFF SALE IS A GO! ROAMAN'S 75$% OFF SALE IS A GO! If you're like me, you love all those wonderful end of the season sales. 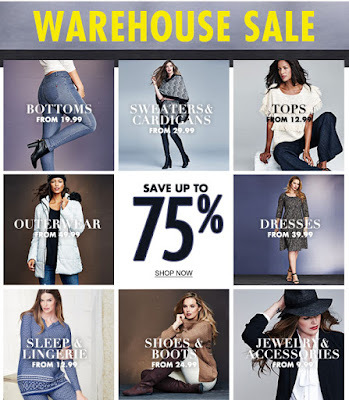 Well, today is no exception, and right now at Roaman's you not only get 75 % off of your purchases during their warehouse sale, but you can also get an extra 30% off of all items in the Clearance section. So grab you're tablets, cell phones or PCs, and head on over to Roaman's and grab your favorite items while supplies last. Look Out Amazon! Walmart Is Making The Moves!